or our April date, we have as our guest UK's first lady of Afro House, Kitty Amor. Growing up around older brothers who were DJs, DJing came natural to her. At age 18, Kitty Amor pursued her talent and began DJing. As years went on she felt drawn to deep African infused house in which she now specialises. Through her mix compilations (House Es Amor & Appreciation), Kitty has continued to establish her sound in the UK, expand her fan-base and never fails to disappoint whenever/however she is heard. 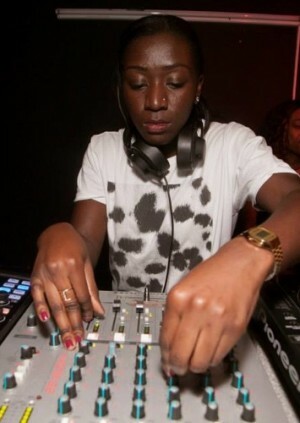 Following the success of these releases and delivering dynamic performances every time she graces the decks. Following a great relationship she had built with Martin ‘Atjazz’ Ivenson, Jonny Miller and D-Malice, Kitty was signed to DM.Recordings in 2015 as their official DJ and label assistant. Kitty mixes and produces the label’s podcast show delivering the best sounds on the scene and pushing the label’s very own music. Support will be provided 4 To The Floor's residents Rickyboom, djsoulprovyder, Kengo and Jay Carder.